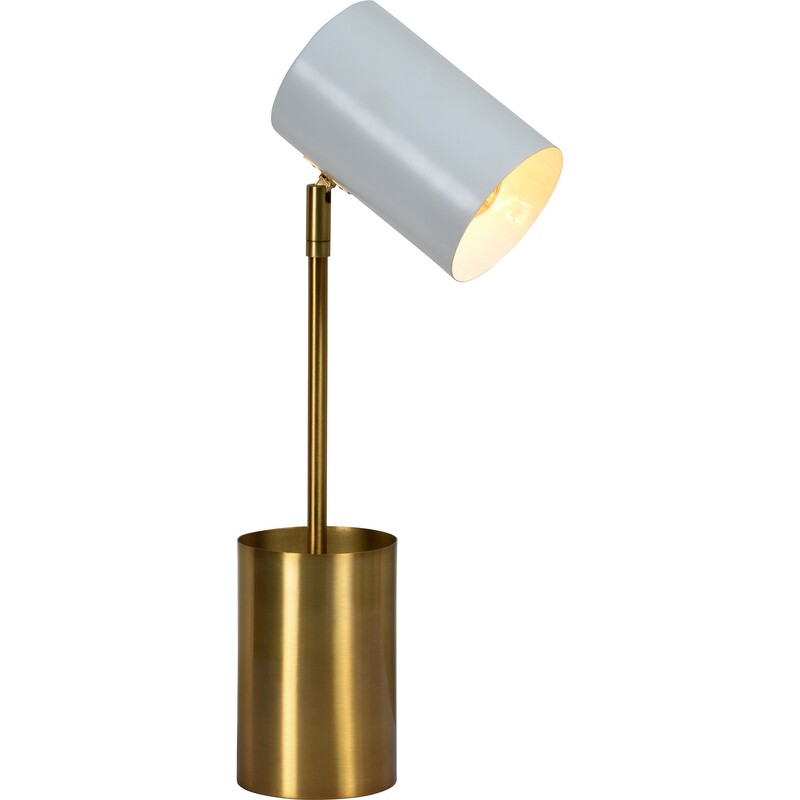 Iron table lamp with antique brass plated finish. Matte white painted iron shade. 4" X 19" X 6"